Vodafone and Idea participated in five spectrum auctions in 2010, 2012, 2014, 2015 and 2016 before merging their businesses in August 2108. Vodafone Idea has sought a two-year moratorium on its annual spectrum payment of about Rs 10,000 crore, citing debt and stress on the balance sheet. "The request (to the telecom department) is being examined and it has to be scrutinised and considered by other departments/ministries in the government before taking any decision," a senior government official told PTI. When contacted, Vodafone Idea spokesperson said: "However, India's telecom industry is currently suffering considerable financial stress and this has been extensively reported in the media". Vodafone and Idea participated in five spectrum auctions in 2010, 2012, 2014, 2015 and 2016 before merging their businesses in August 2108. In the auctions, Vodafone acquired spectrum worth Rs 79,343 crore: the highest in terms of value compared to bids made by other operators. Idea purchased spectrum worth Rs 63,597 crore in the auctions. After the merger, the spectrum payment liability is now on Vodafone Idea. A Vodafone spokesperson said the industry wrote to the government in November and December 2018 seeking urgent measures to improve cash flow, reduce costs and regain financial strength. "One specific request was for the government to defer some spectrum payment obligations. Vodafone Idea supports these industry requests," the spokesperson said. The government in March 2018 enhanced number of annual installments for spectrum payment from 10 to 16 years to provide relief to the sector, which is reeling under the debt of around 7.8 lakh crore. Telecom operators body Cellular Operators Association of India (COAI) in November again approached the telecom department secretary Aruna Sundararajan to seek additional two-year moratorium on payment of installments of spectrum won in auction and interest charges imposed on installments. A similar request was submitted by industry chamber Assocham in December. Industry bodies said the sector has lost 42 per cent revenue from sales of telecom services on quarterly basis between April-June 2016 and July-September 2018. They said the debt level on four mobile operators is at around Rs 5 lakh crore, with 60 per cent of the liability is from spectrum payment obligations. They mentioned that spectrum prices discovered in 2014 to 2016 were at "world's highest spectrum auction prices", which were not the real value of the radiowaves. According to other sources in the government, while demanding relief, industry players have said that it is tough time for sustainability of business in the present situation and is a serious cause of concern as it has potential to expose Indian banks and financial institutions to high level of bad loans. Vodafone Idea spokesperson said that the company remains optimistic about its future and the long-term outlook for the market. "Our integration programme is ahead of plan and we expect to accrue synergy benefits two years ahead of our original expectations. 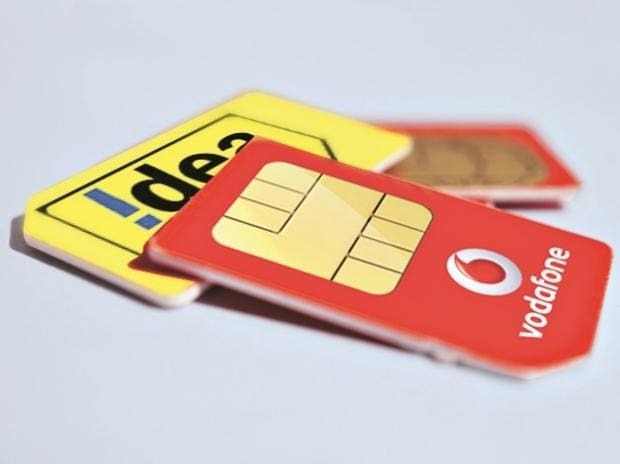 Furthermore, Vodafone Idea has announced its intention to raise up to Rs 250 billion of equity capital and both promoter shareholders have indicated that they would contribute up to Rs 182 billion," the spokesperson said.